To be placed on the waiting list, please use the RESCUE APPLICATION FORM on our rescue website: www.ddbrescue.com. This will provide me with all the information required to ensure I can find you a dogue that will suit your circumstances. 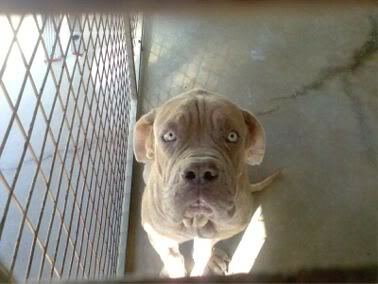 All our rescue dogs are sold desexed, vaccinated, registered/microchipped, wormed and started on heartworm prevention. You are required to sign an adoption agreement, which specifies a trial period (where the rescue dog can be returned to our group and your adoption fee refunded), and also details any health and/or temperament issues we've found which may need attention. This agreement also outlines your obligations as an adopter of a rescue from us. A copy of this agreement is available for viewing on the rescue website. Please take the time to read our special tribute page to Boston, he is the reason we keep doing what we do. To see more, go to the rescue site. 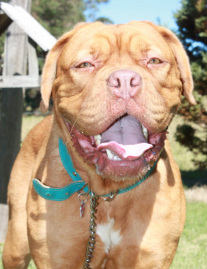 Tex was surrendered to us in 2011 due to an unfortunate change of circumstances for his owner. Poor Tex had been a victim of circumstance twice in his life, as we also managed to contact his first owner who had him until he was 2 years old. 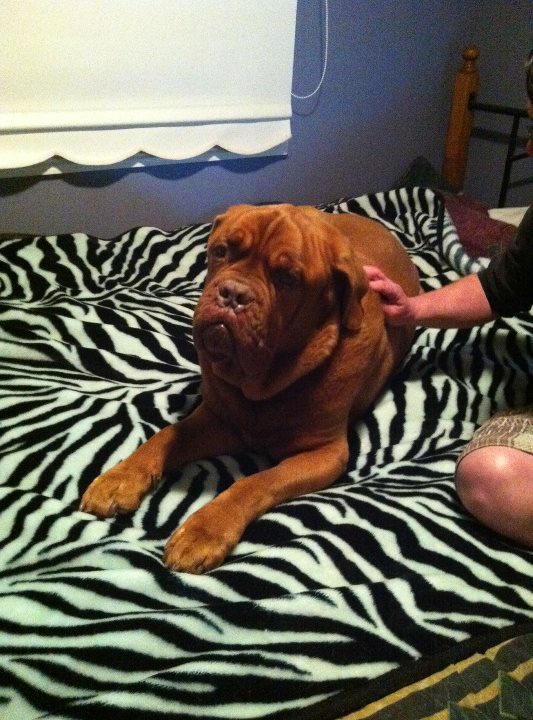 Tex was fostered by Leanne & Shawn at Bellarouge Bordeaux. 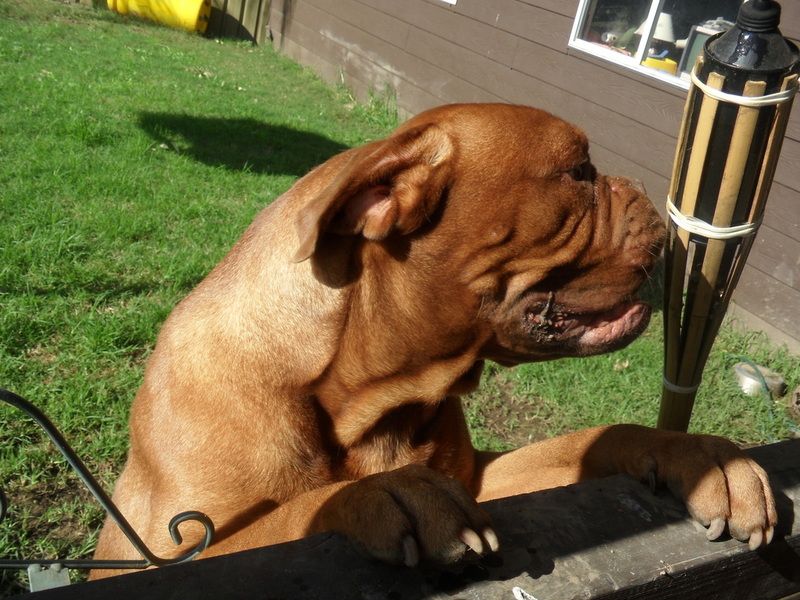 We were able to determine Tex was already 8 years old, and so it was going to take a special person to take on a dogue of this age. We did find that special someone, Giselle. Tex went from his foster home in Sydney to Victoria, and into Giselle's home, where he fit in like he lived there his whole life there. He was gentle with her other dogs, cats and most importantly, her young son. Sadly, Tex only spent a few months with Giselle, until he was given his wings. Rest peacefully Tex, you touched a number of lives in your short time with us. I was contacted by a pound in QLD in 2011 regarding Cassie. She was deemed 'dangerous' and they were going to put her to sleep. 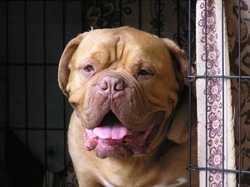 Natasha (Bronzantiq Bordeaux) went to the pound for us and temperament tested her. She passed. Natasha then fostered her briefly and brought her down to Sydney for us to rehome. Another lovely foster carer, Dru, stepped up to help as it was during Easter as many of us had commitments and were unable to hold her. During this time, a lovely family came to meet Cassie on Easter Sunday, and took her home with them. Cassie is now enjoying life on the NSW Central Coast. DDB Rescue was contacted in 2011 by someone who had purchased Buddy, but due to a change of circumstances, could no longer care for him. They surrendered him to us, and we had his vet work done. We found a wonderful home with Sonia and her family, where he is very loved. Raff we found at Blacktown Pound in 2010. We were actually called about another Dogue, but whilst there, we spotted Raff. The staff said he had 'deformed legs' and was going to be put to sleep. We intervened, and said that we would take him (the other one went home by the way). We arranged for him to go into foster care with our friend, Ryan. Raff soon became what we term a 'foster failure' - meaning that his foster carer loved him so much, he adopted him, much to our delight. Raff's legs are not 'deformed' - they are the result of poor nutrition as a puppy. It is important that these giant breeds are on a high quality diet during growth, or this can happen. Raff is still quite active, and his legs don't cause him any problems despite their appearance. 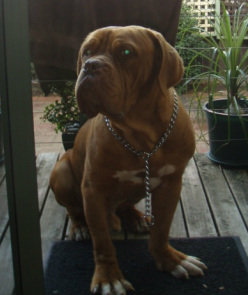 Raff is a much loved member of Ryan's family, which now includes a second dogue, Slade, purchased from a reputable breeder. Bella was rehomed in 2009 with Steve and Gen. She came into rescue very skinny, in season, had a rotten tooth, a wrinkly ear, and some lumps. Rescue put some weight on her, had all her vet work done, and found a loving home for her. Sadly Bella passed away in 2011, but had almost 2 wonderful years with a couple who loved her very much. See our special tribute to Boston on his own page. Click here. Sadly, Boston never made it to the 'rehoming' stage, but it's important his story is shared. He is the reason we keep doing what we do. As you can see from his photo, those eyes will haunt me forever.